Jobbik President Gábor Vona (left) congratulates victorious party-candidate Lajos Rig (photo: MTI). 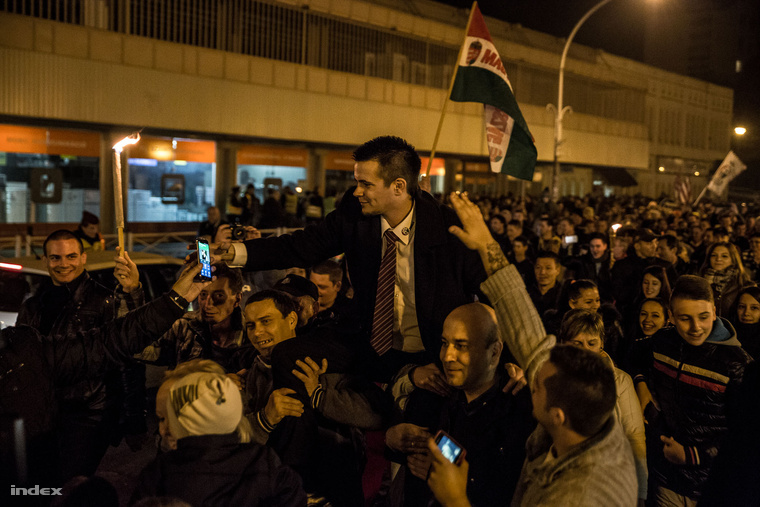 On April 12, 2015, radical-nationalist Jobbik party candidate Lajos Rig narrowly defeated his Fidesz–Christian Democratic People’s Party (KDNP) rival in a National Assembly by-election in Veszprém County. 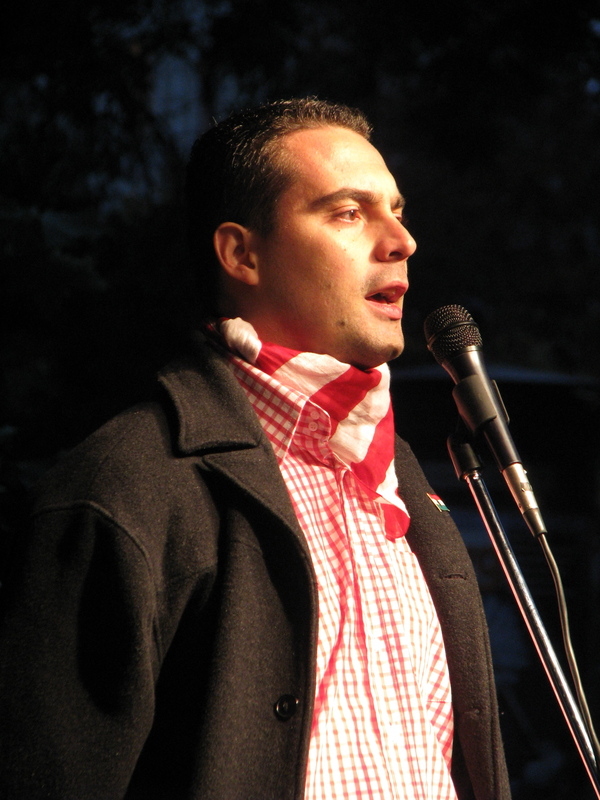 Rig thus became the first Jobbik candidate ever to win a National Assembly election. The other 23 representatives in the current Jobbik caucus and all party representatives in the previous parliamentary cycle gained their seats in the National Assembly via party lists (see National Assembly Election System). Fidesz-KDNP candidates have lost both by-elections held since 2014 National Assembly elections (see Two-Thirds Minus One). The governing alliance has thereby forfeited the second consecutive two-thirds supermajority it commanded in Hungary’s parliament. Jobbik candidate Rig received 35.3 percent of the votes cast in the April 12 by-election, while Fidesz-KDNP candidate Zoltán Fenyvesi received 34.4 percent of the votes and Hungarian Socialist Party-Democratic Coalition candidate Ferenc Pad received 26.3 percent of the votes (source in Hungarian). 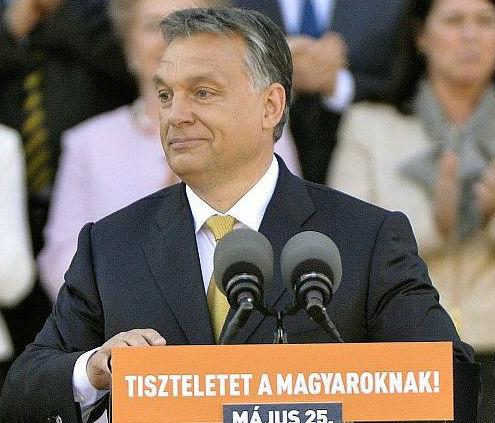 In the April 2014 regular election, the Fidesz-KDNP candidate won 43.1 percent of the votes cast, while the united democratic-opposition candidate won 27.3 percent of the votes and the Jobbik candidate won 23.5 percent of the votes (source in Hungarian). Jobbik candidate Rig received 10,354 of 29,358 votes cast in the April 2015 by-election, while Jobbik candidate Zoltán Dobó received 10,110 of 43,042 votes cast in the regular election one year earlier. Voter participation was 41.6 percent in the by-election, down from 59.9 percent in the regular election. The data indicates that a large number of constituents who voted for the Fidesz-KDNP candidate in the 2014 regular election either voted for the Jobbik candidate in the 2015 by-election or did not participate. The data also corroborates the results of recent party-preference polls that have shown an increase in support for Jobbik to near that of Fidesz-KDNP (source A and B in Hungarian). Speaking during a plenary session of the National Assembly on April 13, Jobbik President Gábor Vona said that “Voters pushed the first brick out of the decaying edifice of the System Change” in the previous day’s by-election, which he characterized as a “genuine voting-booth revolution” (source in Hungarian). 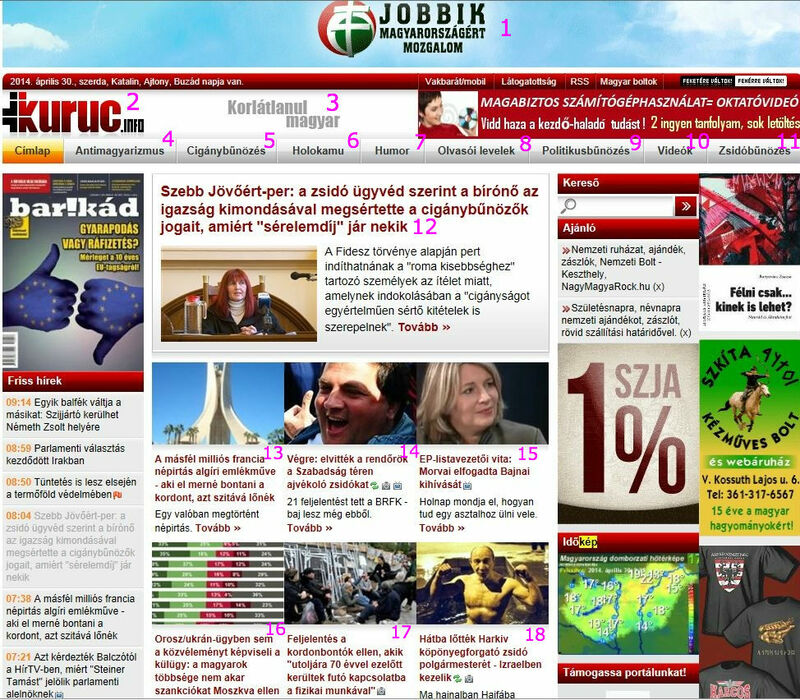 The Jobbik candidate’s victory in the by-election confirms that the party has become able to replicate at the national level the success it has already achieved at the local level (see 24 Bastions) and could be on the the way to becoming a major—perhaps even dominant—player in Hungary’s next National Assembly elections scheduled to take place in 2018. For more information regarding Jobbik’s ideology, base of support and activities see: Interview: Jobbik President Gábor Vona; Taking the Ball; The Jobbik May Day Celebration; Ides of March; The First Little Pinprick; Follow the Evil Twin; Uniform Disorder; and The New Hungarian Guard/For a Better Future Hungarian Self-Defense. Jobbik President Gábor Vona (photo: alon.hu). Below is an Orange Files translation of the final two-thirds of an interview that a journalist from the Lajos Simicska-owned newspaper Magyar Nemzet conducted with Jobbik President Gábor Vona at the end of March 2015 (source in Hungarian). The journalist’s initial question in the translated text refers to Vona’s call in a major speech earlier this year for reconciliation among the sharply divided political factions in Hungary (see Taking the Ball) and to two incidents involving Jobbik officials that surfaced in the Hungarian media recently: Mezőtúr Municipal Council member János Kötél’s anti-Gypsy Internet postings and National Assembly representative Gergely Kulcsár’s spitting on the Shoes on the Danube Bank Holocaust memorial in Budapest (sources A and B in Hungarian). 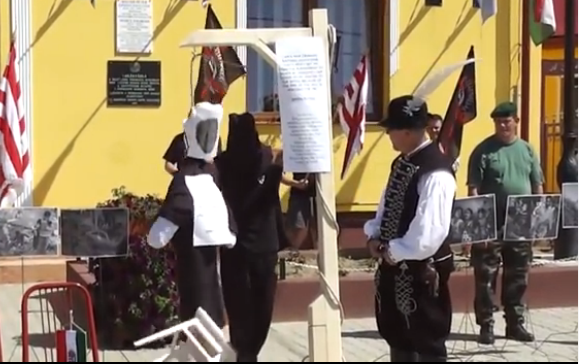 Magyar Nemzet: Are the Gypsy-inciting [cigányozó] János Kötél or Gergely Kulcsár, who spit on the quayside Holocaust memorial, compatible with reconciliation? Gábor Vona: No. However, it is not an accident that these events that took place years ago are emerging just now. The strengthening and people’s-party strategy of Jobbik frighten many people and both Fidesz and the HSP [Hungarian Socialist Party] are interested in trying to push us back into the extremist-party pigeonhole. The cited cases entailed consequences and I think that with time events of this type will vanish from the party. In the instance of Gergely Kulcsár, for example, the party immediately indicated that it distances itself from the action and considers it to be scandalous and unacceptable. I asked Gergely to take a flower to the quay in order to show that he regretted it as well. And, in fact, he did regret it even if many people find it hard to believe him. 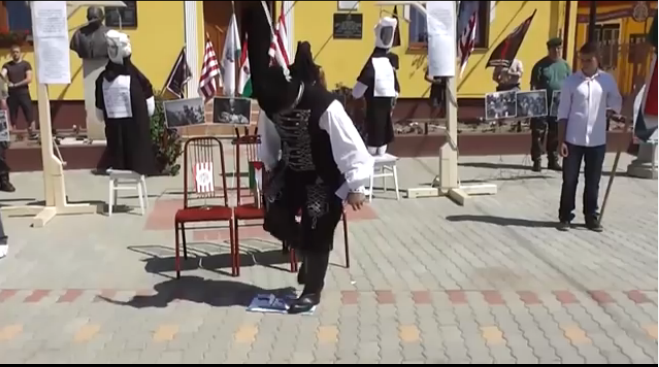 There is no room in Jobbik for irreverent, vulgar actions that express collective judgement. However, this does not mean that it isn’t possible to speak about, let’s say, domestic Jews, Israel’s policies or even the Gypsy problem. Magyar Nemzet: Is standing with a flower for the sake of a photograph a true consequence? Gábor Vona: The most important thing is that we make it clear: what Jobbik is and what Jobbik isn’t. One can lament about whether this measure was sufficient or not. But the most important thing is that we gave expression to this: Jobbik shares in the mourning of all victims—including those of the Jews—and regards insult to this mourning to be unacceptable. And just to put it in parentheses: how many parties usually ask for forgiveness in Hungary? 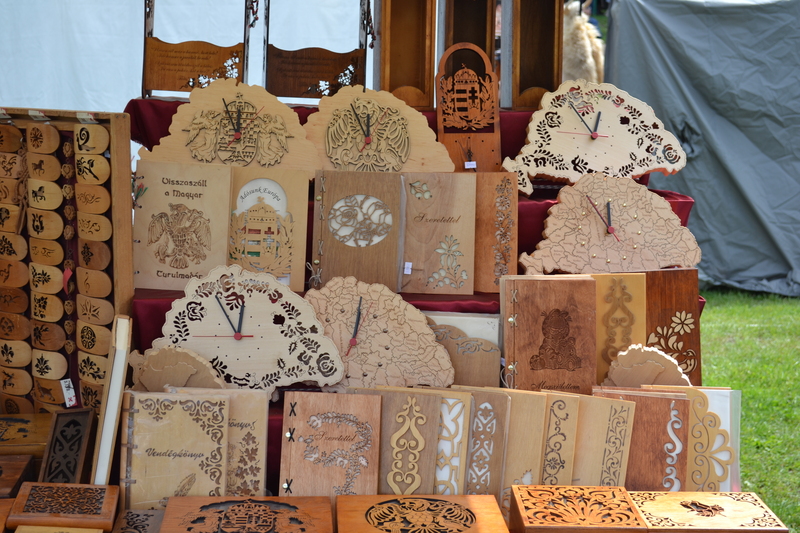 Magyar Nemzet: Do you sleep soundly? Aren’t you scared that other such instances will surface? Gábor Vona: Over this, very soundly. The reason I sleep with greater difficulty is the increasing reality of governing responsibility. 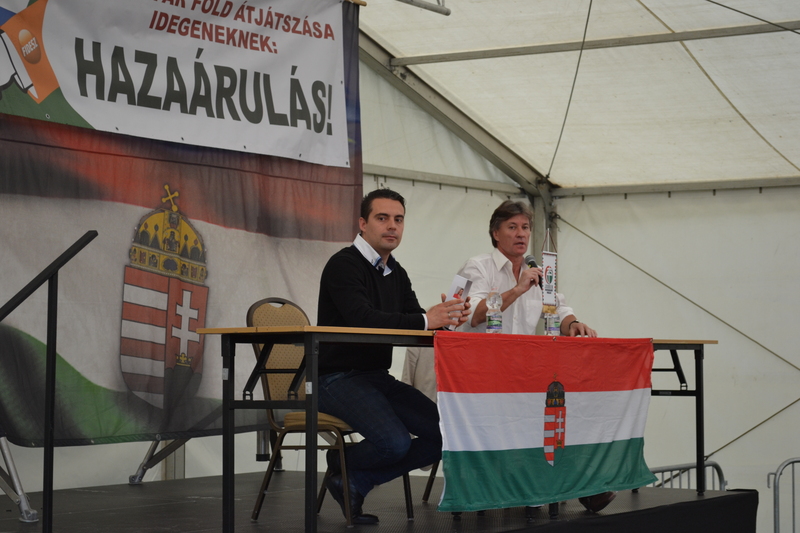 Magyar Nemzet: Do you regard Jobbik to be capable of governing? Gábor Vona: I don’t think that there is any party that is one-hundred percent capable of governing. A party comes to power and strives to meet the challenge. This must be prepared for and if the moment comes we will respond to the best of our ability. We will have no lack of specialists, because we have many talented young people, many experienced old foxes who have preserved their integrity and, finally, there are many specialists in the state administration who have not yet declared that they belong to Jobbik, though if we come to power we can count on them. The year of volunteerism during which our representatives are going out among the people and trying out different sectors is helping a lot in terms of preparation from both a human and a professional standpoint. 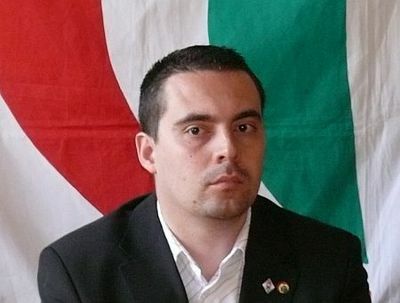 Magyar Nemzet: At the same time Jobbik is not accepted in Europe. Gábor Vona: This is why western opening is important to me. Since 2010 I have been repeating that Hungary must assert its interests in a German-Russian-Turkish triangle. Even Viktor Orbán acknowledged this not long ago. For me and for us there are no and will be no problems in the Russian and Turkish direction—I must establish good relations with Germany. This will be terribly difficult, because the German press is even worse than the Hungarian [press] and passes us off as a neo-Nazi party. However, I would like to show leading German political officials the genuine Jobbik. 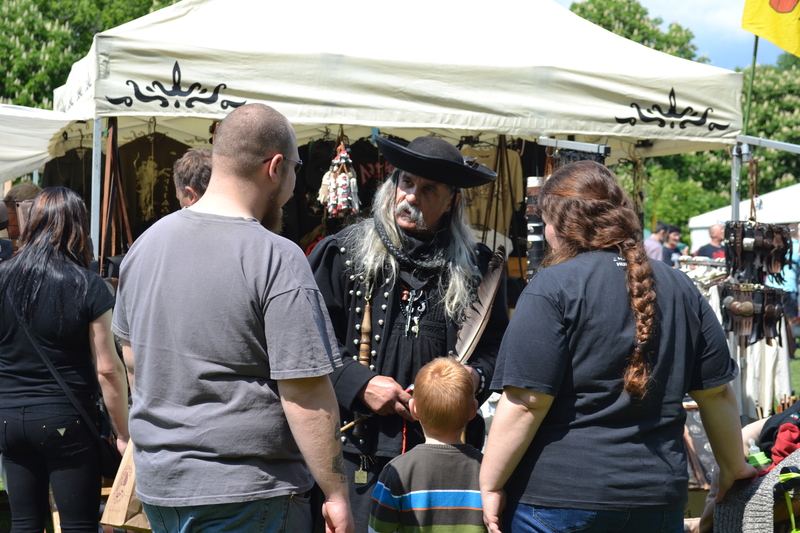 Magyar Nemzet: Have you done anything in this interest yet? Gábor Vona: I have begun to put out feelers, that is, on our part we are open. Germany must face up to our strengthening and decide if it’s willing to engage in dialogue with Jobbik—a people’s party Jobbik. Magyar Nemzet: Would you still like to hold a referendum on our European Union membership? Gábor Vona: I think that much has changed in the European Union since we joined and that Hungarian society must be given the opportunity to form an opinion on this. I must emphasize that we are not anti-Europe and that our EU criticism is not visceral. However it must be stated that behind all the gloss the community works anti-democratically and unjustly. For example, that they exploit the eastern member-states and that negotiations are taking place with the United States in secret regarding the planned free-trade agreement. All of this is unacceptable. Magyar Nemzet: In the event of a referendum will you campaign on the side of withdrawal [from the European Union]? Gábor Vona: The current EU is not good for Hungary. But this would not be the first question. First we would ask people about modifying the membership treaty and if renegotiation is not possible then the decision about withdrawal must be made. Magyar Nemzet: Do you consider it to be realistic that we would withdraw [from the European Union]? Gábor Vona: I don’t consider it to be inconceivable that such a situation could arise in the over the medium term, though in the short term it is not realistic. On the one hand, Hungarian society would not likely make such a decision, while on the other hand Hungary is not prepared for this in an economic sense. Unfortunately, over the previous [parliamentary] cycles governments were so taken in by European Union membership that they didn’t think of a “plan B.” However, I think that this is necessary, because it could happen that we don’t withdraw from the EU, but that it simply falls apart. Magyar Nemzet: Do you have a problem with our NATO membership as well? Gábor Vona: This causes a much bigger headache. In may opinion we are looking at a prolonged Russian-American conflict and I am convinced that this [conflict] is taking place in Hungary as well even if not yet with weapons. We do not need this. It would be worthwhile to discuss what kind of relations we must maintain with NATO and it would be possible to open a social debate on this. This is as far as I would go for the time being. Magyar Nemzet: What kind of relations are you thinking of? Gábor Vona: There are several versions and even neutrality as in the case of Switzerland or Austria cannot be excluded. But those are very distant questions. Magyar Nemzet: What do you mean by saying that the Russian-American conflict is taking place here at home as well? Gábor Vona: It is taking place here at home precisely because Hungary is a NATO member, moreover we have better and better economic relations with Russia. I do not consider it to be inconceivable that the conflict taking place on the territory of Ukraine will escalate again and then Hungary will find itself in a very difficult position because as a NATO member state we would have to enter this war and under certain circumstances wage war against Russia. I would really caution Hungary against this. One point of the four-question signature collection currently taking place pertains precisely to this—that our homeland would remain neutral in spite of [NATO] membership. It is not an accident that according to our signature collectors this is our second very popular proposal behind pensions for men who have worked for 40 years. Magyar Nemzet: You also reject participation in the action against the Islamic State. Gábor Vona: That’s right, because such a mission would not merely endanger the security of Hungarian soldiers, but it will raise the terrorist threat of the ten million people living here. We also regard the Islamic State—which I consider to be neither Islamic nor a state—to be an enemy to be defeated, but this is not Hungary’s duty. We will stay with providing humanitarian assistance. 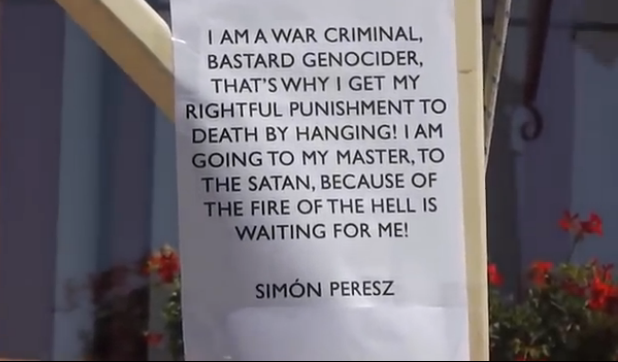 Magyar Nemzet: Somebody has to take action against the Islamic State. Who should this be? Gábor Vona: I think that it is primarily the duty of the United States and those great powers who armed the predecessor groups of the Islamic State. Magyar Nemzet: With this you acknowledge that the United States is the world’s gendarme who has the right to intervene anytime and anywhere? Gábor Vona: It would be really good if it weren’t this way. But one of the most important reasons that the Islamic State is so strong is that the United States armed these groups during the intervention against Assad. The existence of the Islamic State is furthermore connected to immigration. It is to be feared that among the immigrants some could arrive here that are not economic or political refugees, but terror cells. Another question in the signature collection is precisely the clampdown on immigration. Magyar Nemzet: Do you have any concrete ideas? Gábor Vona: In the first phase the refugee centers must be sealed so that those who arrive there cannot rummage about freely. However the phenomenon must be handled more thoroughly and profoundly knowing that the refugee question is not a member-state issue. 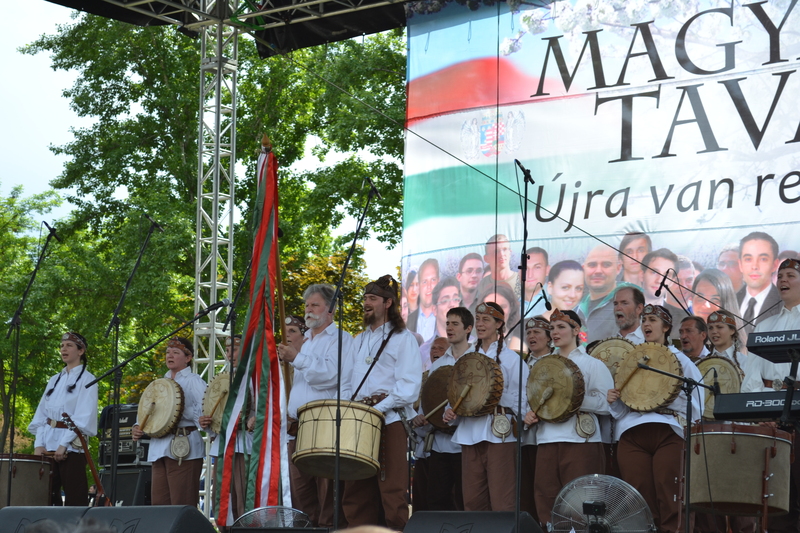 Magyar Nemzet: What is your [Jobbik’s] relationship with the United States? Gábor Vona: I cannot say that it is too rosy. Along with Germany, I would like a sound relationship with the United States as well. I would like to make them understand that Hungary is an independent country that would like to take its own path and therefore they should not try to pull us into its conflicts. Magyar Nemzet: Where does this attempt to put relations in order stand? Similarly to the case with Germany? Gábor Vona: The two are comparable only in that the American press isn’t too good either. Here, I must frankly say, I have not yet taken any steps either—this will be the task of the coming period. First we must prove ourselves in domestic politics and make it clear to Germany, the United States and everybody else that Jobbik is a potential governing party and, like it or not, you must talk to us is some way. We are open to this. I could not promise that we will be an easy negotiating partner or that you will be able to spread us on bread at these meetings, but I can state that we will be correct, rational and open. Magyar Nemzet: Will you initiate contacts with the new American ambassador? Gábor Vona: I don’t want to rush into things, though I think that the moment will come when we will have to meet, if for no other than official purposes. “The Future Cannot Be Stopped”: marking party victories at the Jobbik municipal-election headquarters on October 12, 2014 (index.hu photo). 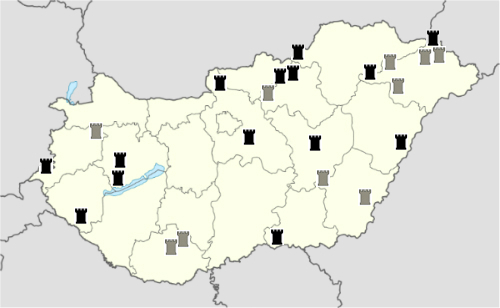 On November 9, 2014, candidates from the radical-nationalist Jobbik party won mayoral elections repeated in the city of Ózd and the village of Recsk, both in northern Hungary, after regional election officials determined that balloting at these locations in early October had failed to produce bona fide winners (source in Hungarian). These victories raised the number of Jobbik mayors in Hungary pursuant to 2014 mayoral elections to 14, compared to just three as the result of 2010 mayoral elections (main source in Hungarian). A further 10 independent candidates who ran with official support from Jobbik were victorious in mayoral elections held throughout Hungary on October 12. Therefore, 24 communities in Hungary now have Jobbik or Jobbik-supported mayors, compared to 12 at the end of the last municipal-government cycle (see note below). Ten of the latter 12, including László Toroczkai of Ásotthalom (see First Little Pinprick) and Mihály Zoltán Orosz of Érpatak (see The Second Little Pinprick), won reelection this fall. Supporters carry newly elected 27-year-old Mayor Dávid Janiczak of Ózd on their shoulders on November 9, 2014 (index.hu photo). 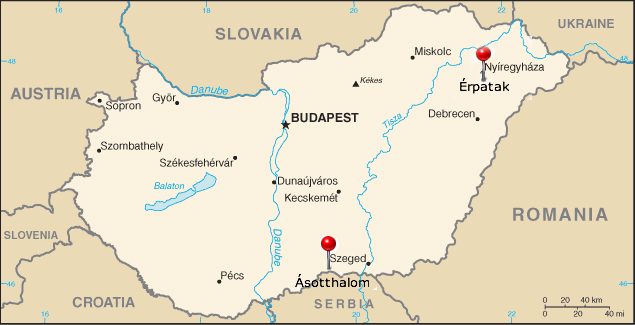 Jobbik or Jobbik-supported candidates won two-thirds of their victories in the Northern Hungarian Mountains and the Northern Great Plain, thus signifying a continuation of the party’s success in these impoverished and highly Gypsy-populated regions of the country. And, for the first time, Jobbik and Jobbik-supported candidates won mayoral elections in cities with populations of over 20,000—Békéscsaba, Ózd and Törökszentmiklós. One should not exaggerate the significance of the gains that Jobbik achieved in 2014 mayoral elections: party or party-supported mayors still serve as the highest-ranking elected officials in less than one percent of the 3,177 communities in Hungary with municipal governments. 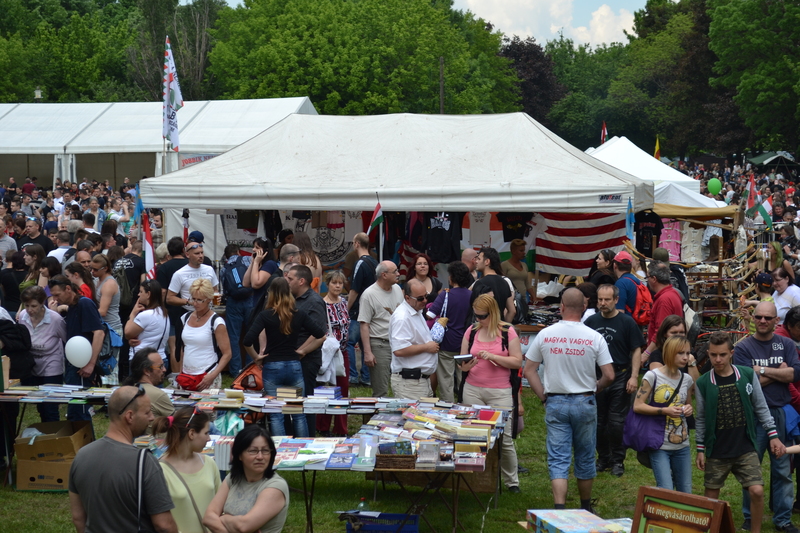 However, this fall’s mayoral elections show that Jobbik has not only gained popularity in the party’s established rural strongholds in rural northeastern and eastern Hungary, but has also made political inroads in towns and small cities in these sections of the country and begun to extend its political reach into the more economically developed region of Transdanubia. If these trends continue over the next four years, Jobbik could challenge the Fidesz-KDNP governing alliance’s local-level political supremacy in the part of Hungary lying to the east of the Danube River in 2018. Note: Four of these 12 mayors won 2010 elections—three as Jobbik candidates and one as a Jobbik-supported independent; two won 2010 elections as independents before joining Jobbik in 2012; and six won by-elections—four as Jobbik candidates and two as Jobbik-supported independents. Jobbik victories in 2014 mayoral elections: black = Jobbik mayor; gray = Jobbik-supported independent mayor (Orange Files graphic).